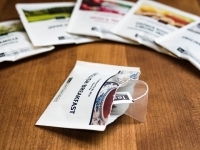 Send 3 individually wrapped tea bags and 1 blank, store bought postcard (sender's choice) to 2 partners. Add a little note with your name, the swap name, and greetings to your partner. No unexplained 1 or 3 ratings. I will check all profiles. When will partners be assigned? @Daycie partners have been assigned now!